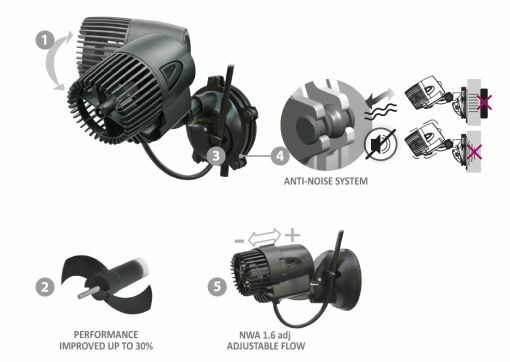 The Newave circulation pump from Aquarium Systems is an ingenious powerful circulation pump with half the wattage of leading competitors at half the price. This high quality pump has a patent pending powerful suction cup tried and tested and with a three year guarantee and is extremely silent running. 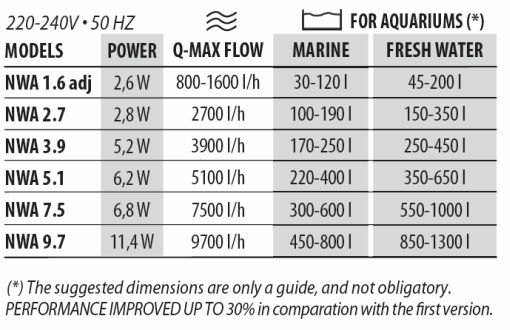 Create natural currents in your marine or freshwater tank using any of the six models of Newave pumps. 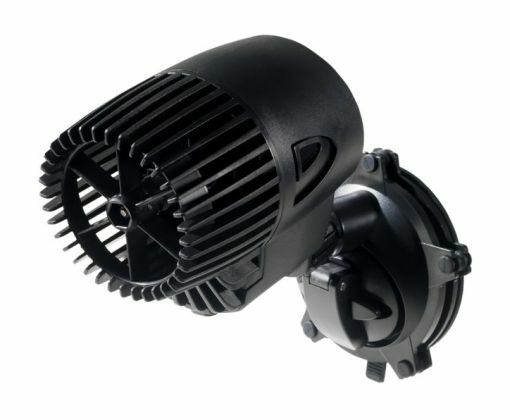 A compact Circulation Pump that re-creates a natural current within freshwater and marine aquariums. The pumps are fixed to the glass of the aquarium using a powerful suction cup, and mounted on a ball joint bracket allowing easy positioning. These come with a three year warranty. The pumps are a compact size and have fully adjustable direction of water flow. 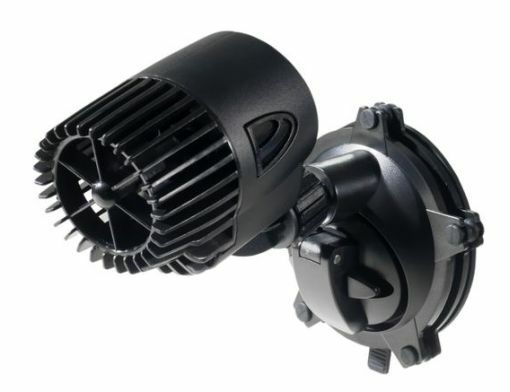 These powerful and economical pumps are especially useful in marine and reef aquariums for creating currents in any direction.  Useful to re-create natural currents in fresh water and marine aquariums.  Compact size, adjustable direction of water flow.  Self-cleaning and high efficiency impeller.  High performance with minimum power consumption.  Powerful suction cup (without magnets out of the aquarium) with anti-vibration and anti-noise features. 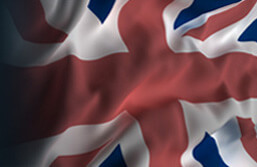  Reliable, extremely silent and easy to maintain.  Totally variable direction of water flow.  Impeller with new shape: self-cleaning and high efficiency.  Built-in power cord guide.  Extremely powerfull suction cup mounting device, no parts outside the aquarium.  Engineered for absorption of vibration and anti-noise.  Model 1.6 adj has a flow adjuster.